DALEKS RULE BRI-TANN-I-AAA! DALEKS RULE THE WAAAAVES! Our worst fears have come to fruition: The Daleks have successfully weaponised the Union Flag. 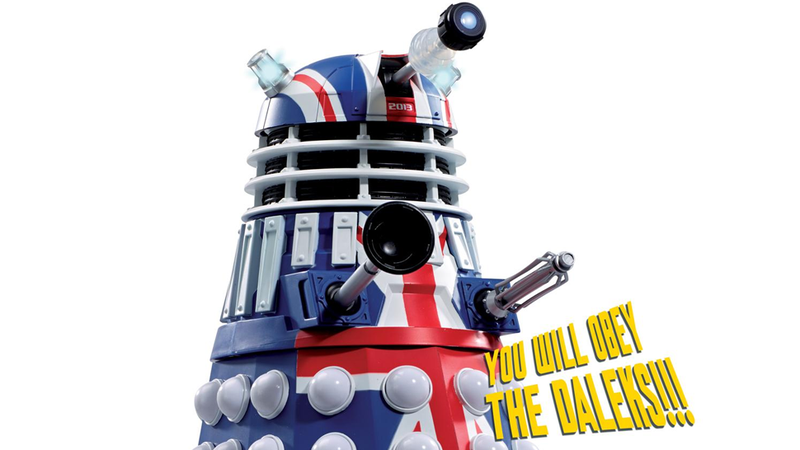 The 'British Icon' Dalek, due out late August, will retail for £39.99, and is suitable for fans of fascist cyborgs draped in Imperialist Heraldry aged 5 and up.